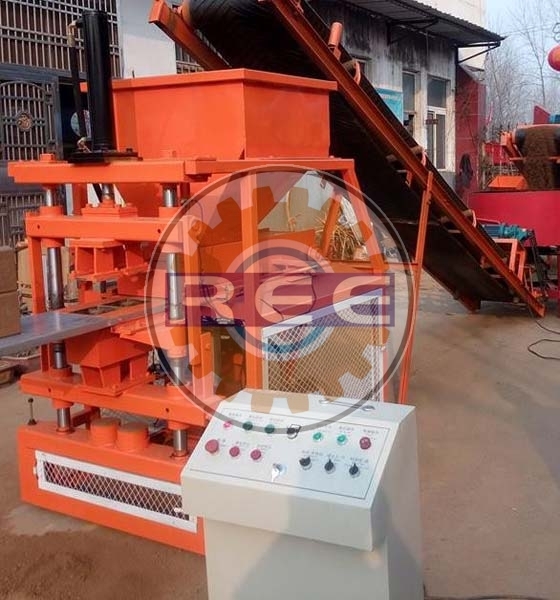 Being an eminent Manufacturer, Supplier and Exporter of Fly Ash Brick Making Machine (RBM-06), we intend to get complete customer satisfaction. Our assorted range is made using unparalleled raw material. We meet the highest norms and grades of quality set by the industry. It is designed keeping in mind different specifications. The optimum design, excellent functionality and durability of the product are available for affordable prices. Production Capacity 4500 to 6,000 Bricks/Shift. Automatic material feeder , Hydraulic operated, controlled by PLC. Brick Mould -(02Cavity). 02 Bricks/Stroke with Frog (Name in Brick). Pan Mixer - 1 No. “Reva” Pan Mixer having capacity of 200 Kgs. fitted with 2 Nos. heavy C.I.Rollers, fitted with changeable bottom wear plates fitted with mixing and discharge blades, having special alloy steel tips, complete with quality Worm Reduction Gear Box of Elecon/Roto-Reva powered by 5/7.5 H.P./Electric Motor of Kirloskar/Crompton/Havells make With starter. Belt Conveyor - 1 No. “Reva” Belt Conveyor for loading and unloading the material of the Pan Mixer , and powered by 2 H.P. Electric Motor of Havells / ABB/ Siemens/Bharat Bijlee make fitted with quality gear box with starter.The conveyor is fitted with rubber top nylon conveyor belt and is moving on frictionless idlers. 2 Nos. “Reva” Pallet Trucks are fitted with Pneumatic Tyres, and manual dragging arrangement with lift capacity of 1000 Kgs.